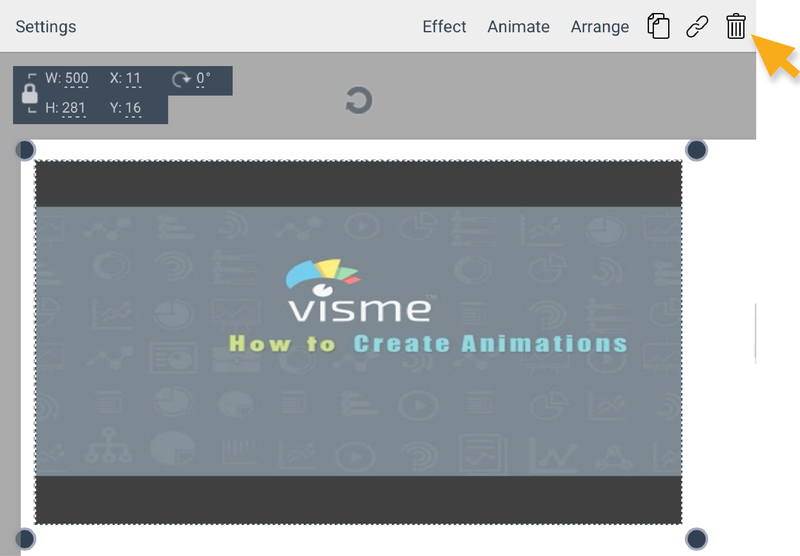 Removing or replacing a video that you have already added to your project is simple. Click on the video to show Property Panel on the top right of your screen. Click the Trash symbol, and the video will be deleted. Double click on the video or click the Settings option on top left if the screen to open the Property Panel. 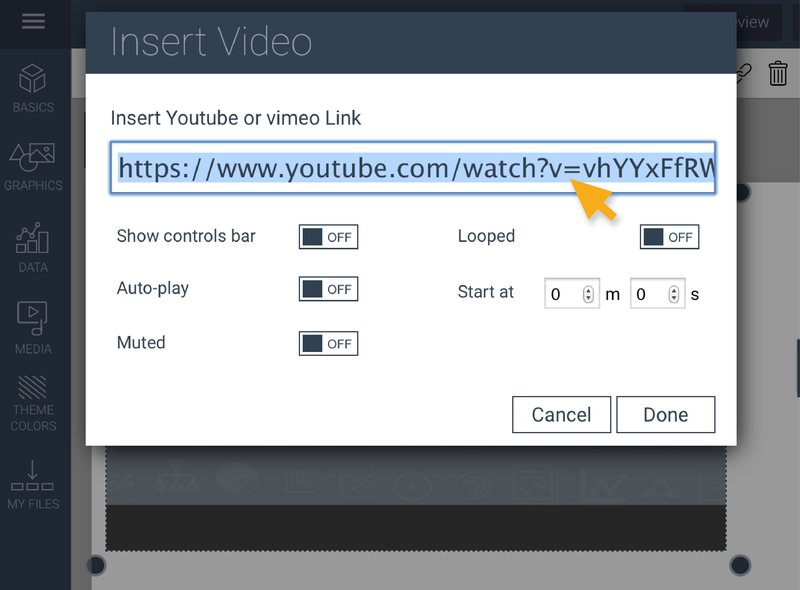 Highlight the URL of the video that is currently listed, delete it and paste in the new URL. Click Done. Change any of the settings to have your video set to auto-play, loop, show/hide control bar, etc. Close the window and see if the new video or replaced video is set.